A FULL OR PARTIAL REFUND IS AT THE DISCRETION OF MANAGEMENT. ANY REQUEST THAT INCLUDE FLIGHT DELAYS, CANCELLATIONS, WEATHER, NATURAL DISASTERS OR ANY OTHER CAUSES BEYOND THE CONTROL OF THE SERVICE PARTY WILL RECEIVE THE HIGHEST PRIORITY FOR REFUNDS OR RESCHEDULING. MANAGEMENT ALSO AT ITS DISCRETION MAY ASK FOR VERIFICATION OF SUCH EVENTS BEYOND THE CONTROL OF THE SERVICE PARTY. A 100% CANCELLATION FEE WILL BE APPLIED IF THE DRIVER HAS CONTACTED THE SERVICE PARTY AND DISPATCHED TO THEIR LOCATION FOR SERVICE. A 50% CANCELLATION FEE WILL APPLY TO ALL OTHER CANCELLATIONS THAT ARE UNRELATED TO CIRCUMSTANCES BEYOND ONES CONTROL. THE LOUISVILLE METRO AREA IN WHICH THESE RATES APPLY ARE FROM POINT TO POINT WITHIN A 15 MILE RADIUS OF DOWNTOWN LOUISVILLE IN BOTH KENTUCKY AND INDIANA. ANY SERVICE THAT IS NEEDED OUTSIDE THIS AREA SHOULD BE DIRECTED TO OUR SERVICE INQUIRY EMAIL AT EXECUTIVE@LOUISVILLETRANSPORT .COM OR BY CALLING OUR DISPATCH NUMBER AS ABOVE. ALL RESERVATIONS AT THIS SITE SHOULD BE MADE NO EARLIER THAN 48 HOURS BEFORE THE DESIGNATED DATE AND TIME IN WHICH SERVICE IS NEEDED. ANY SUBSEQUENT REQUEST FOR AN EXTENSION OF SERVICE TIME BEYOND THE POINT TO POINT TRANSPORT AS PURCHASED AT THIS SITE SHOULD ALSO BE DIRECTED TO OUR DISPATCH AT (502)897-2835. SERVICE WILL NOT BE AVAILABLE AT THIS SITE DURING SPECIAL EVENT VENUE PERIODS SUCH AS THE KENTUCKY DERBY, BREEDERS CUP OR OTHER MAJOR SPORTING OR ENTERTAINMENT VENUES. NOTICE WILL BE GIVEN AT THIS SITE WHEN THESE DATES APPLY. ALL RESERVATIONS WILL INCLUDE ALL FEES ASSOCIATED WITH THE TRANSPORT. 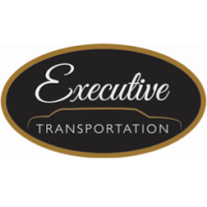 CUSTOMERS ARE NOT PROHIBITED FROM AWARDING A GRATUITY TO THEIR DRIVER OR OUR COMPANY FOR SERVICES RENDERED. CELL PHONE NUMBERS LISTED ON THE RESERVATION ARE EXPECTED TO BE IN SERVICE AND AVAILABLE FOR PICK UP UNLESS MANAGEMENT HAS BEEN CONTACTED IN ADVANCE TO APPROVE OTHER ARRANGEMENTS FOR CONTACT. THE DESIGNATED REPRESENTATIVE FOR THE RESERVATION WILL RECEIVE AN IMMEDIATE CONFIRMATION THAT THE RESERVATION HAS BEEN RECEIVED AND HAS BEEN SCHEDULED FOR TRANSPORT BY EMAIL ONLY. THE DESIGNATED PARTY WILL BE GIVEN THE ASSIGNED NAME AND CELL NUMBER FOR THE DRIVER ASSIGNED TO THE RESERVATION AT LEAST 1 HOUR BEFORE THE DESIGNATED PICK UP TIME. ALL PICK UPS AT THE LOUISVILLE INTERNATIONAL AIRPORT IS SUBJECT TO WAITING TIME CHARGES FOR ALL ARRIVALS THAT ARE LATER THAN 30 MINUTES FROM THE ORIGINALLY SCHEDULED ARRIVAL TIME.